Krista is a second-year graduate student earning her Master of Arts in Communication. 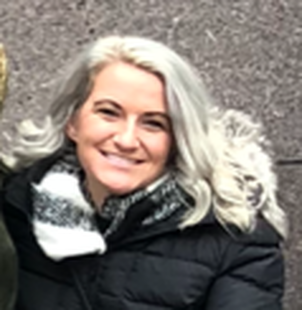 She works as a public speaking instructor as part of her graduate assistantship, and in addition to being a communication researcher and instructor, Krista has a deep passion for law and has been accepted into the Brandeis School of Law. She enjoys traveling, watching Game of Thrones, and spending time with her cats.